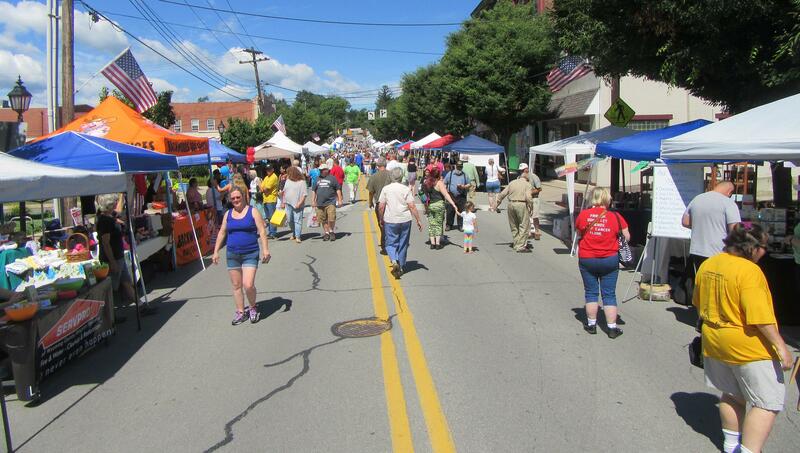 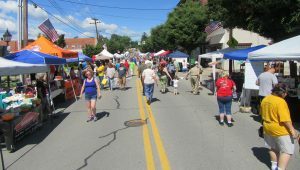 Looking east (top) and west (above) from the approximate center of Founders Day activities on Saturday, throngs of people can be seen taking in the sights, smells and sounds of Tunkhannock’s annual summer holiday. 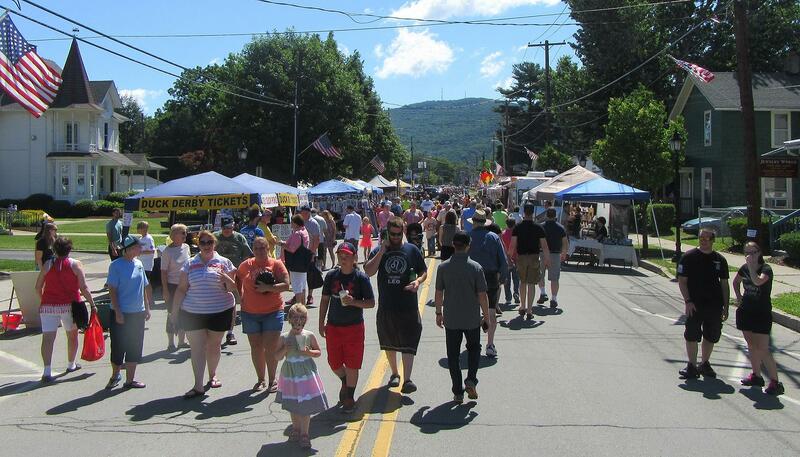 From Warren Street at the west to McCord Street at the east, Tioga Street in Tunkhannock was teeming with people on June 24 as Tunkhannock celebrated Founders Day. 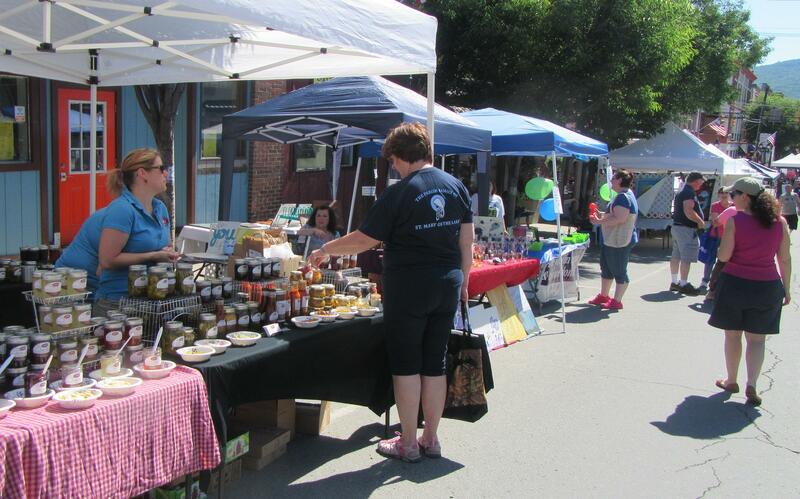 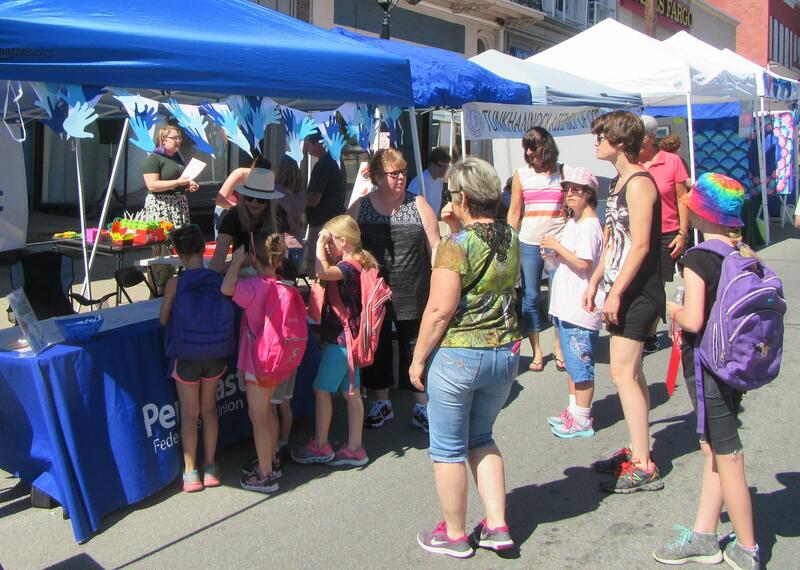 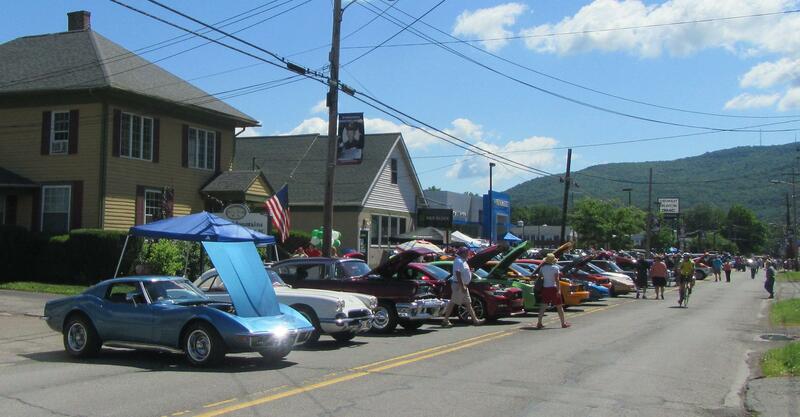 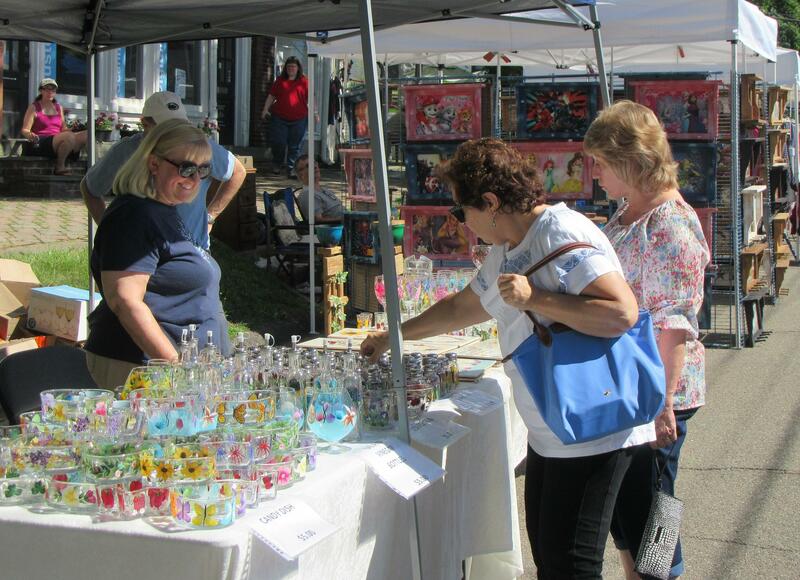 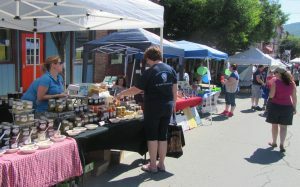 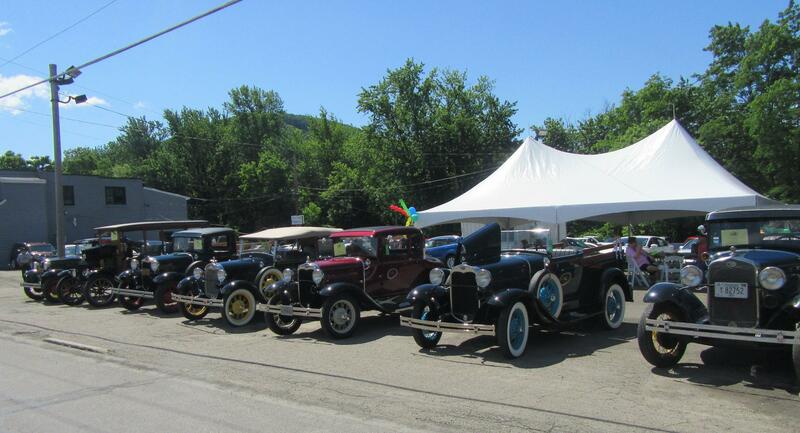 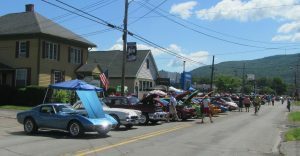 Highlights of the event included live entertainment, a walking tour of Tunkhannock’s industrial past, wine tasting, a duck derby, a classic car show, and a wide variety of food and other wares from vendors. 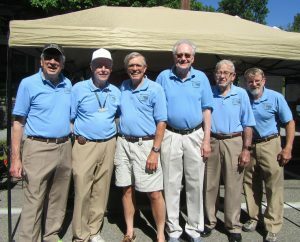 Endless Mountains Barbershop Chorus members at the ready included (from left) Raleigh Block, Don Overdorff, Dan Williams, Nelson Stauffer, Bob Driesbach, and Gilbert Lawrence. 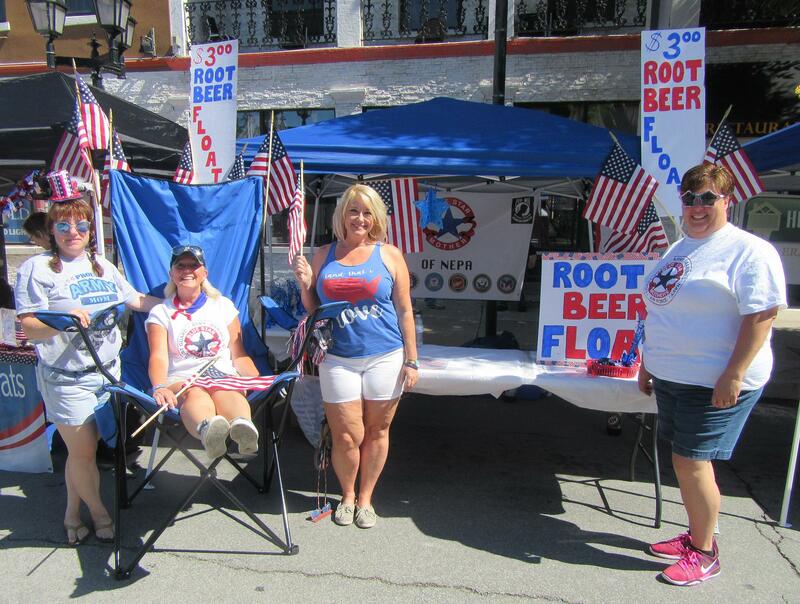 Selling root beer floats for the Blue Start Moms of NEPA were (from left) Audra Spencer, Lisa Caines, Crystal Bernosky, and Krista Dymond. 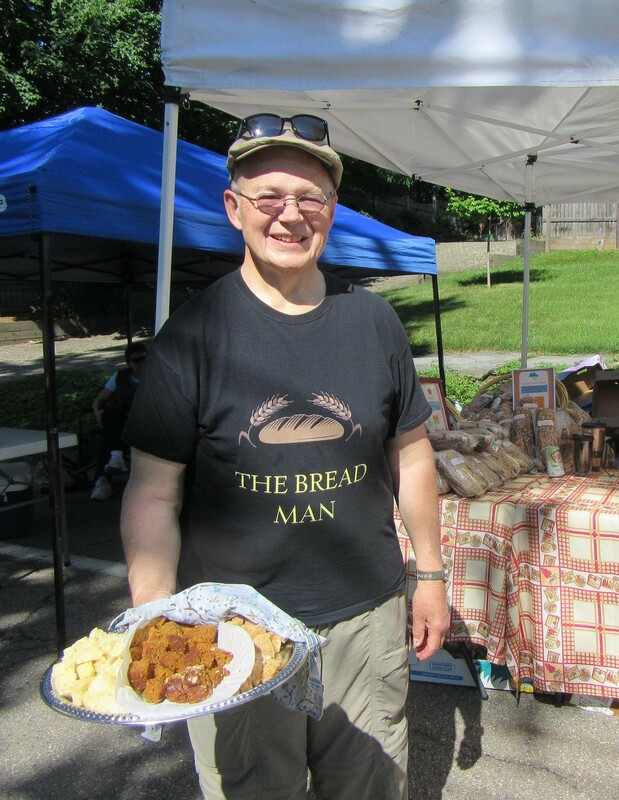 Chuck Redden (aka – the Brad Man) offered samples to passersby on Warren Street. 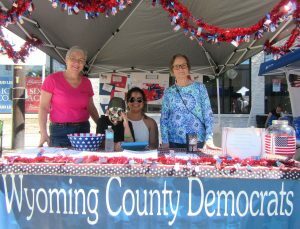 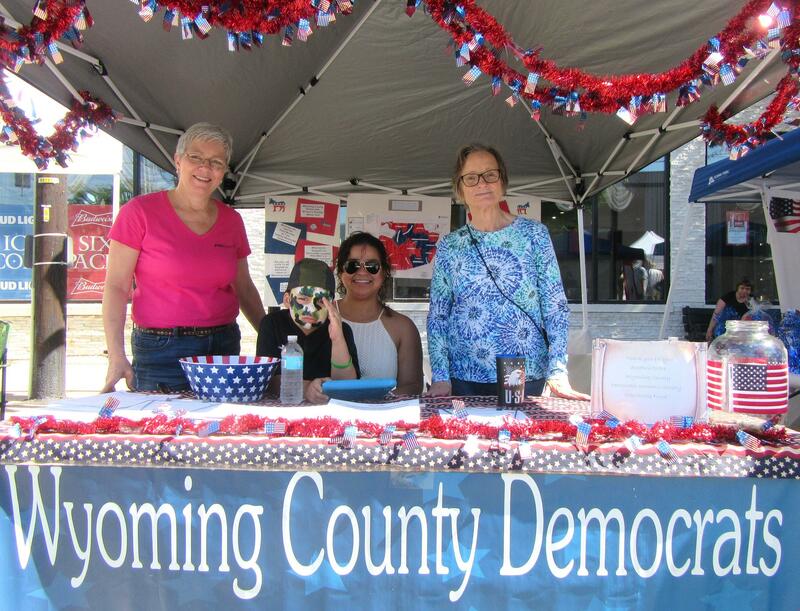 Representing the Wyoming County Democrats on Tioga Street were (from left) Sharon Neumane, Aiden Delicati, Nadia Villanueva and Mary Pratt. 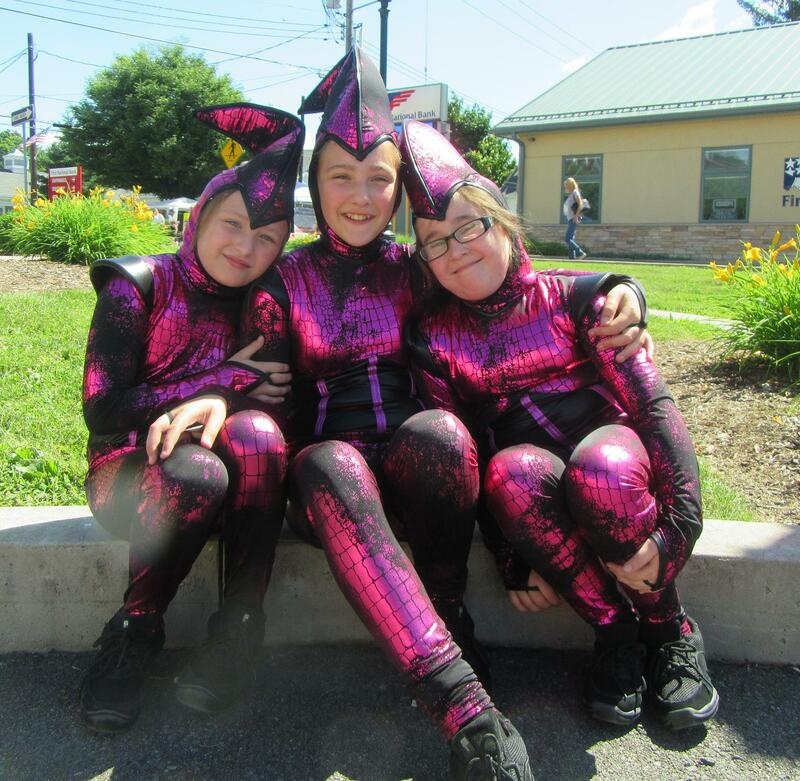 Whipples Dance Studio students (from left) Deziray Crawford, Ainsley Daubert, and Lilli Teel relax before their big number. 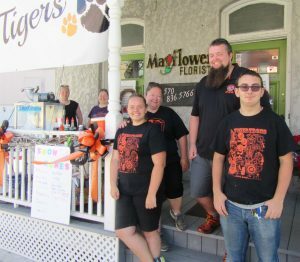 Selling snowcones to support their robot-building competitions were Tigertron members (from back left) Angela Mock, Brandy Harvey, Mariah Tague, Stephanie Tague, Cliff Mock, and Dakotah Noble. 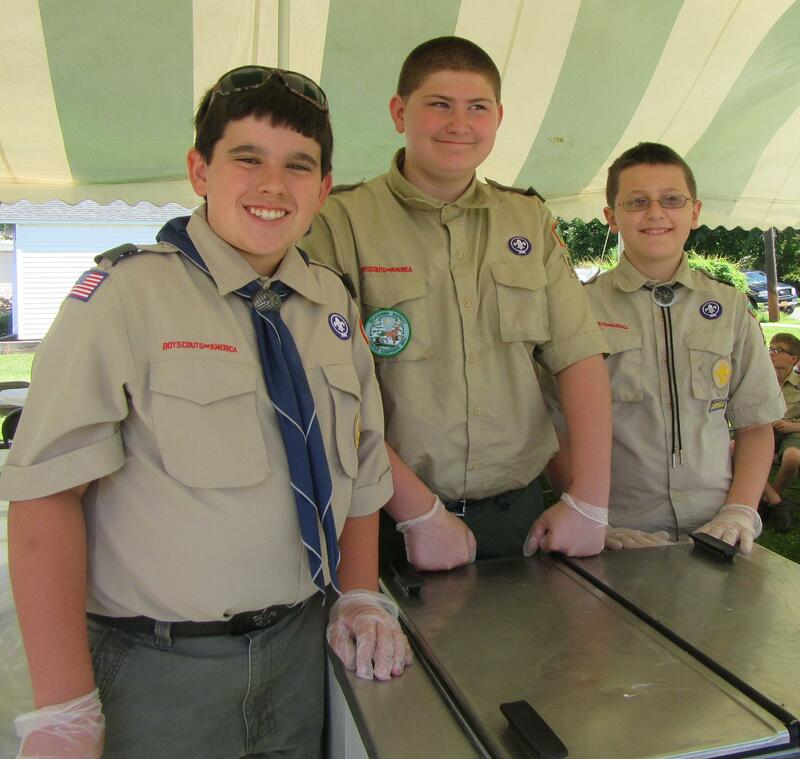 Scooping ice cream for Founders Day patrons were Tunkhannock Boy Scout Troop 518 members (from left) Mitchell Delano, Zackery Gresh, and Duke Moyer. 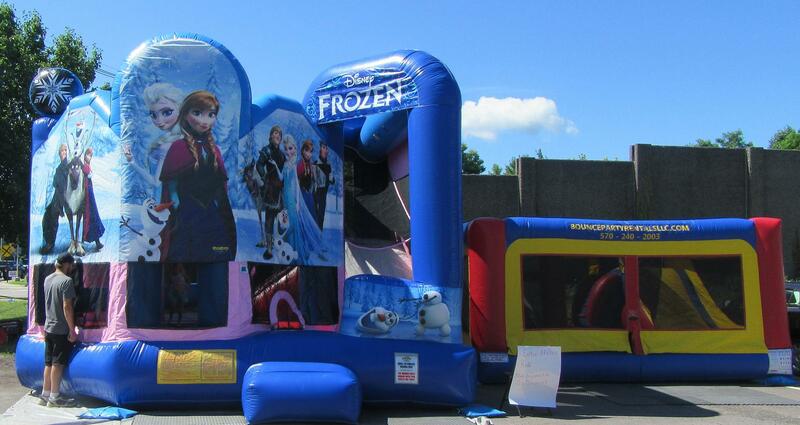 A ‘Frozen’ castle and other bouncy delights awaited children along Harding Street. 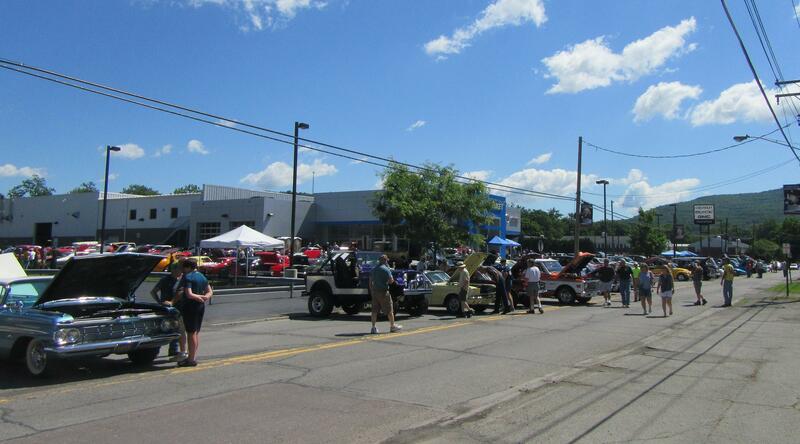 A wide variety of classic cars (above and below) on display in the area of Sherwood Chevrolet attracted fans of all ages. Shoppers (above and below) found a wide variety items from which to choose, including jellies, hand-painted glassware, and other craft items.